By setting the goal for going to the Moon by the end of 1969, President Kennedy transformed the Soviet/U.S. arms race, with its escalating confrontations, into a "space race." Perhaps the greatest obstacle to going to the Moon was the development of the spacesuit. 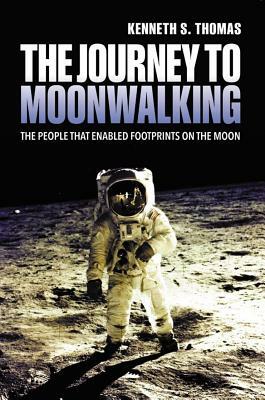 This is the story of human efforts, specifically the innovation, struggle and sacrifice carried out by otherwise ordinary men and women that culminated in the spacesuit that made the first human surface explorations of the Moon possible. The success of Apollo resulted in replacing the looming spectre of a possible world-devastating war with peace and cooperation in space between these two great rival nations. However, few people know of all the contributions that were required to allow the first humans to set foot on, and explore, the Moon. Most are not aware of the magnitude and abundance of challenges to such an endeavour, let alone the solutions needed.